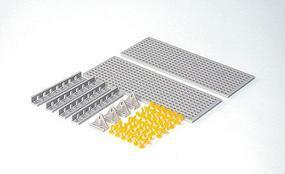 These are Unassembled Universal Plate Sets from Tamiya's Educational Construction Series. 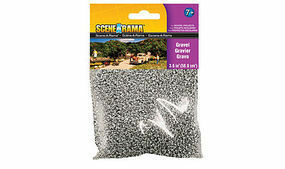 This is the Scene-A-Rama Gravel by Woodland Scenics. Suitable for Ages 7 & Older. 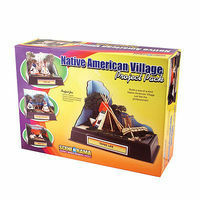 This is the Native American Village Project Pack From Scene-A-Rama by Woodland Scenics For ages 7 years and up. This is a Small Pulley Set from Tamiya. 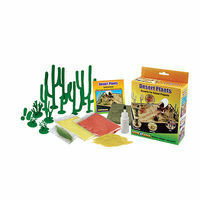 This is the Scene-A-Rama Desert Plants Accent Kit by Woodland Scenics. 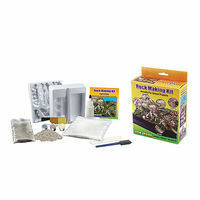 This is the Scene-A-Rama Rock Making Accent Kit by Woodland Scenics. Set this switch to turn on when the switch button is depressed and turn off when the button is released, or set it up the opposite way. Uses 6V and up to 4A capacity. 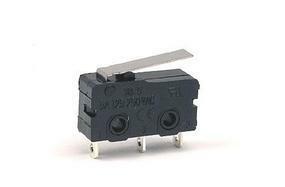 The switch has a small metal plate that engages the switch. 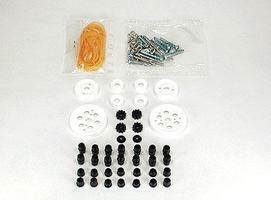 It is made of black plastic with holes on each end for mounting. . This is the Scene-A-Rama Ripplin' Water Accent Kit by Woodland Scenics. These are Scene-A-Rama Autumn Trees by Woodland Scenics. This is the Da Vinci Clock from the Academy Hobby Models Da Vinci Machines Series. Suitable for Ages 14 & Older. This is the 01 Solar Motor from Tamiya. This is the Scene-A-Rama Desert Sand ReadyGrass by Woodland Scenics Suitable for Ages 8 & Older. These are Scene-A-Rama Conifer Trees by Woodland Scenics. 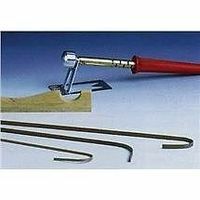 This is the Scene-A-Rama Ocean Kit by Woodland Scenics. Suitable for Ages 7 & Older. This is the Scene-A-Rama Blue Realistic Water by Woodland Scenics. Suitable for Ages 7 & Up.